Michael Grandage has, for as long as I’ve known him, been something of a life force: not content with running one theatre (the Sheffield Crucible, which he took over in 1999 just three years after he started directing), he took on a second (the Donmar Warehouse in 2002, from Sam Mendes), and then ran both for a time in the early noughties. Next, not content with only running the Donmar, he established a West End residency for the company’s work at Wyndham’s, and a separate offshoot to showcase work by the younger former resident assistant directors of the theatre at Trafalgar Studios. Also under the Donmar banner, Grandage directed a West End revival of Guys and Dolls that subsequently toured the UK and Australia; he juggled those responsibilities with freelance gigs elsewhere that included a West End revival of Evita (subsequently also on Broadway), a production of Danton’s Death at the National Theatre, and his operatic directing debut at Glyndebourne and New York’s Metropolitan Opera House. 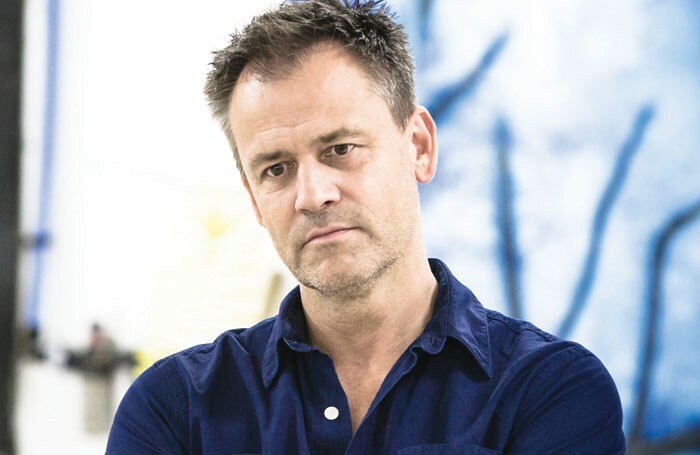 After he left the Donmar, following a garlanded decade-long tenure in 2012, he formed his own independent production company, Michael Grandage Company, co-founded with his former Donmar executive director James Bierman. 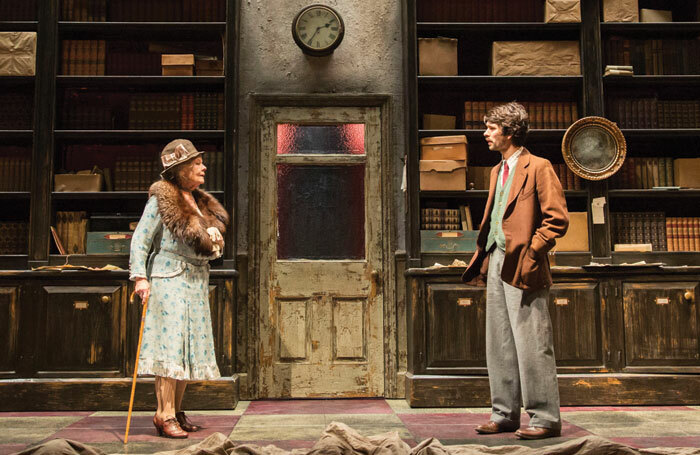 It made an immediate splash in the West End by staging a five-play, celebrity-laden season at the Noel Coward Theatre, with productions respectively featuring Simon Russell Beale, Judi Dench and Ben Whishaw, Sheridan Smith and David Walliams, Jude Law, and Daniel Radcliffe, with Radcliffe then transferring to Broadway in the company’s revival of Martin McDonagh’s The Cripple of Inishmaan. 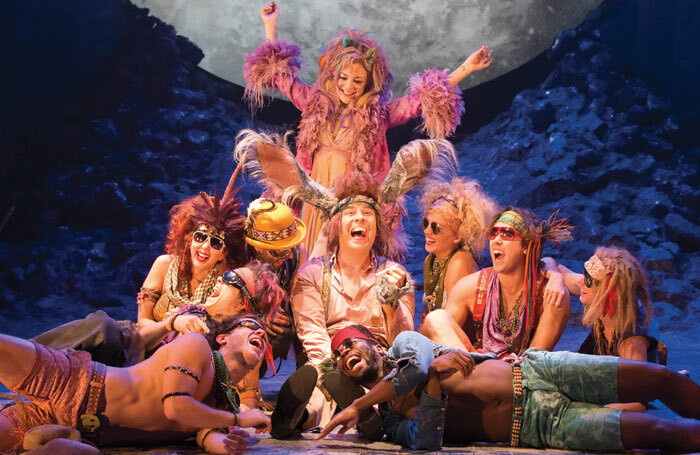 But it wasn’t just about stars; it was also, crucially, about making the West End more affordable for younger audiences, with 25% of the total inventory of tickets available at every performance sold at just £10. Last year he made his film directing debut with Genius, starring Law, Colin Firth and Nicole Kidman, set for release in the next 12 months. And now he’s back in the West End, first with Kidman returning to the London stage in the UK premiere of new play Photograph 51, then with Dawn French reprising her first solo show 30 Million Minutes that Grandage directed on the road last year. When I meet him at his Shaftesbury Avenue offices – high above the Gielgud Theatre, reached by six flights of steps – on a Sunday morning, he’s just returned from a week at a house he owns in Cornwall, where he grew up, and is beginning rehearsals the very next morning for Photograph 51. He took my coffee order before I got to his office via text message, and has bought it at the branch of Costa across the street, along with a chocolate twist we share, that will feature in the conversation imminently. Christopher is Christopher Oram, the Olivier and Tony-award-winning designer who is Grandage’s most frequent artistic collaborator and also his life partner, with whom he shares a home in Shepherd’s Bush. Oram didn’t work on the film, but he has been an integral part of Grandage’s professional and then personal life ever since Grandage directed his very first stage production, Arthur Miller’s The Last Yankee at Colchester’s Mercury Theatre back in 1996. The story he tells of their first meeting and subsequent fast-evolving partnership is revealing of his process as well as his passions. Over subsequent repeated train journeys from Liverpool Street to Colchester together, they discovered something else about each other: “I come from a very strong creative background, being brought up in Penzance and Newlyn, where the whole British post-war abstract movement started. And though Christopher’s aesthetic is not related to that movement, it is as strong as mine and is entirely compatible, and that’s the importance of the visual. 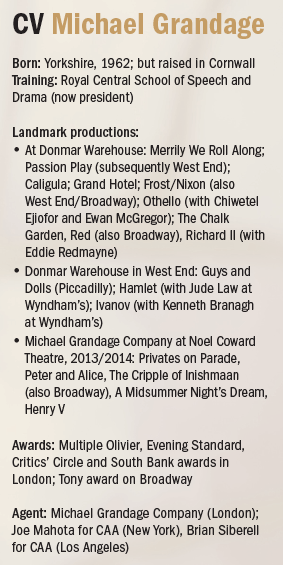 And that’s exactly what Grandage strives to provide with every production he directs. It must, above all, have both a point and a point of view. 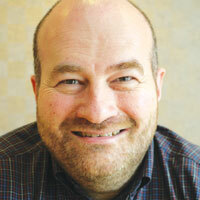 But he is equally big, as a producer, on strategy and attention to detail. 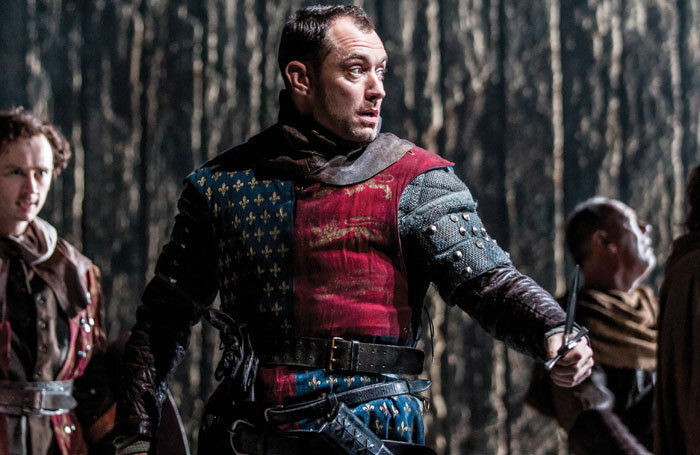 As we talk about his return to the West End now, for instance, with a stand-alone project rather than a season, he explains: “If I’d done another season straight away, there becomes an expectation that every time you do a piece of theatre you’re doing a season, and before I know it, I’m back at the Donmar. But I wanted to move away from that model; it was exciting to be released from needing to come up with five plays a year for 10 years, which can have its problems as well as its positives. Thanks to Grandage’s example, the West End itself is starting to buzz in a different way: first Jamie Lloyd – a Grandage protege at the Donmar who became his resident director on Guys and Dolls, before being given his own shows that included Sondheim’s Passion – established his own company at Trafalgar Studios, and Kenneth Branagh is soon to follow suit with a season at the Garrick. It has also been announced that after Jonathan Church departs from Chichester, he’ll establish a West End foothold, with the promise of a home at a Delfont Mackintosh Theatre. Is imitation the sincerest form of flattery? The latest piece to follow that brief, he hopes, is Photograph 51, which emerged out of discussions first initiated between Grandage and Nicole Kidman about three and a half years ago. “We were put together by our agents giving each other our personal numbers, and we had a conversation in which I rang her and said I’d like to work with her. I suggested that she’d be brilliant in The Lady from the Sea or Hedda Gabler, but she said she just wanted to do a new play. In that case, I replied, I’d set about looking. She told me she didn’t mind waiting – and promised that if I found the right one, she’d do it. All of this was highly unusual: “Too often a director spends too much of their life trying to convince people to be in things; so it was lovely to meet an actor who was convincing me that she wanted to do something.” Photograph 51 was also already on the cards, so “much of the filming was spent discussing the play as well”. The play had come to Grandage by an unsolicited general submission from an agent, and when he read it, he immediately thought of Kidman and sent it to her with a note saying, “Is this what we’ve been looking for for the last four years?” They did a reading, and discovered that, yes, it was: a play written by a woman about a strong woman, based on the true story of Rosalind Franklin, a scientist who in the 1950s had photographed DNA for the first time – but never got credit for it. He also plans to think outside the box in considering where the work appears. 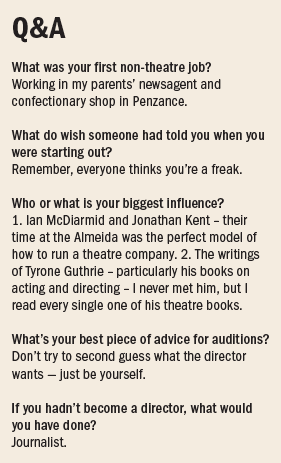 Though he’s very happy to have an ongoing relationship with Cameron Mackintosh – “he runs the most beautiful, best kept, maintained and staffed theatres in London” – he also wants to follow the examples of Ian McDiarmid and Jonathan Kent’s regime at the Almeida (under whose auspices he made his London directorial debut), who took the Almeida brand to temporary found spaces in King’s Cross and the Gainsborough Studios. 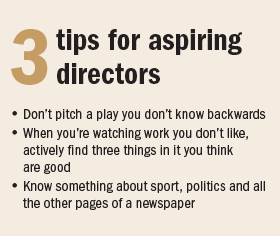 As Nicholas Hytner – for whom Grandage worked regularly as an actor – prepares to launch his own company in London too, it’s a time when many of London’s leading directors are finding and making their own homes as artistic leaders. But Grandage got there first, and has a head-start on them all.